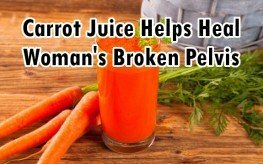 You may have read the article of how two people overcame their cancers with five pounds of carrots juiced daily, and wondered if carrot juice did the trick or if it was just magic. Or you may have looked at the title and possibly skimmed a bit before rolling your eyes and moving on to the next article. 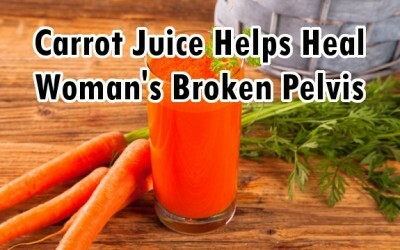 Now, what if a 90 year old woman healed her broken pelvis by juicing mostly carrots? Charlotte Gerson is the daughter of Dr. Max Gerson, who had developed a dietary and detox approach for treating cancer during the 1920s. Originally, Dr. Max Gerson had developed his unique health restoring approach for Tuberculosis, but after a cancer patient insisted Dr. Gerson try it on her, he reluctantly honored her request. Spoiler: it worked. Subsequently, over several decades, thousands of people have had cancer eradicated from their bodies due to the Gerson Therapy. The same approach has been used for diabetes and other serious maladies with a very high rate of success. But you can’t keep beating cancers of all kinds with non-chemical and non-invasive approaches and remain on the medical mafia’s turf for too long. Although there is a Gerson Institute in the USA, the Gerson Healing Center is in Tijuana, Mexico, where health freedom still openly exists. Dr. Gerson’s daughter, Charlotte, and her son Howard Straus run the whole operation traveling between San Diego, CA and Tijuana just across the nearby border with a small select staff. Charlotte has also had a book of hers published, Healing the Gerson Way – Defeating Cancer and Other Chronic Diseases, while keeping the Gerson Institute open and running. Now, what usually happens to an older person who fractures his or her pelvis? It’s usually a death sentence. You may have heard that when old folks break their pelvises or hips, they soon die. Charlotte, tripped over an electrical fan cord and fell hard onto a concrete floor, breaking her pelvis in two places. After seeing her shattered pelvis X-ray, Charlotte was momentarily convinced this was fatal considering her age of 90 and the fact that, although hip replacements are common, mending a broken pelvis is not handled by surgical procedures. But her son Howard exclaimed it would not be a death sentence for her. Howard reminded his mother of a case under her father, Dr. Max Gerson, where a woman’s cancer, which had metastasized into her hip/pelvic area, was not only healed, but the damage to her bones in that area had healed also. All from drinking lots of freshly made organic fruit and veggie juices daily, mostly carrot, and detoxing with coffee enemas. Charlotte simply maintained her normal organic vegetarian diet, enjoyed good music, red good books, enjoyed good company with family and friends, and slept a lot. Most importantly, she drank eight to ten glasses of carrots juiced freshly with an apple daily. In five weeks, she was able to walk without crutches or a walker, and x-rays showed her pelvis was completely, properly healed. Of course, being healthy initially made it easier. But the fact that a broken pelvis at 90 completely healed in five weeks with rest and lots of carrot juice is amazing. Here is a video telling the story of Charlotte. So put that in your juicer and drink it! But use a slow speed masticating juicer, not a high speed centrifugal one. I started juicing in January 2014. I was diagnosed with Prostate and bone cancer Dec. 2013. 4.5 lb. organic carrots and Ginger. Stopped using my knee braces (5 years) in February. Torn right rotator cuff in August 2013. Now able to work at 80/85%. Feeling better than ever at 61. Thanks to carrots, Ginger, Kale, and my belief in JESUS!